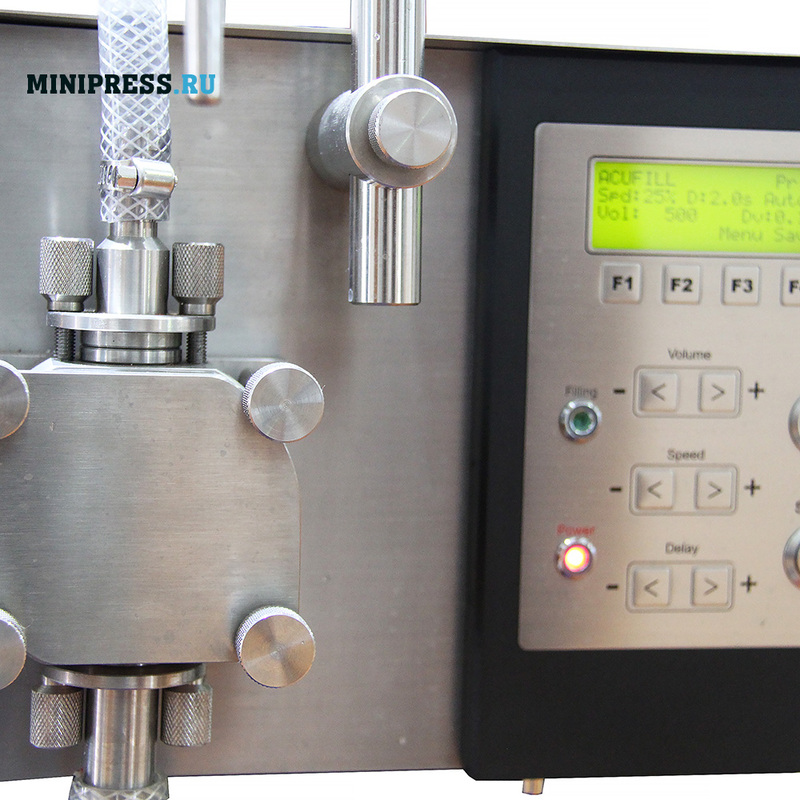 Desktop machine for filling liquids into ampoules and vials for pharmaceutical, chemical and food production. The productivity is 600-1400 ampoules per hour. Dosage in several versions from 10 ml to 10 liters. Weight 29 kg. This model uses an electronic pump dispenser and control panel. 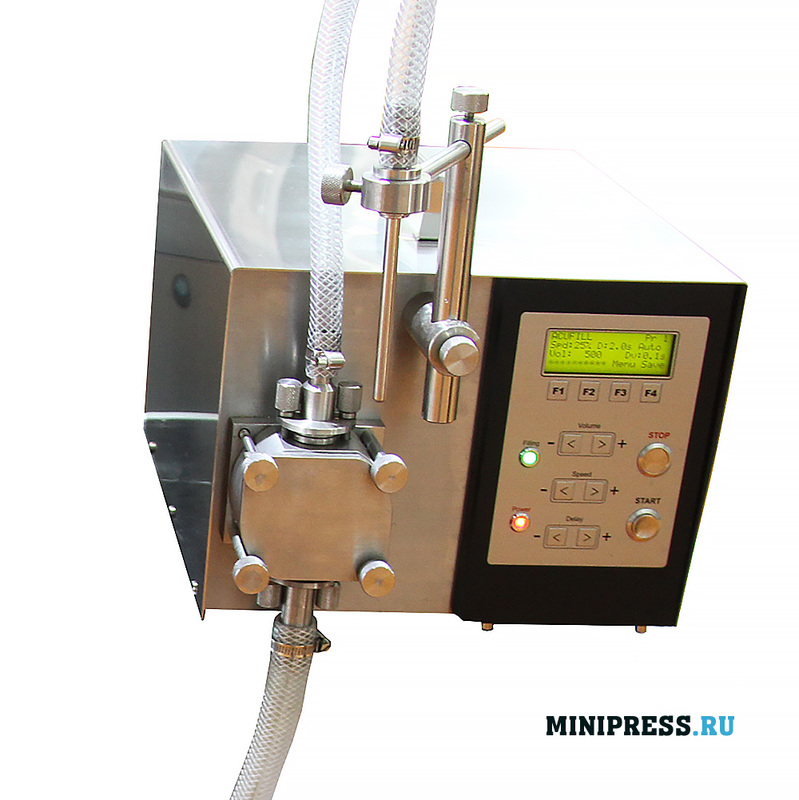 Automatic, economical and easy to operate the machine is used in the medical, food and chemical industries. We provide a full range of services: installation, training, start-up, repair. Instruction for use in English and Russian. Complies with the GMP standard. 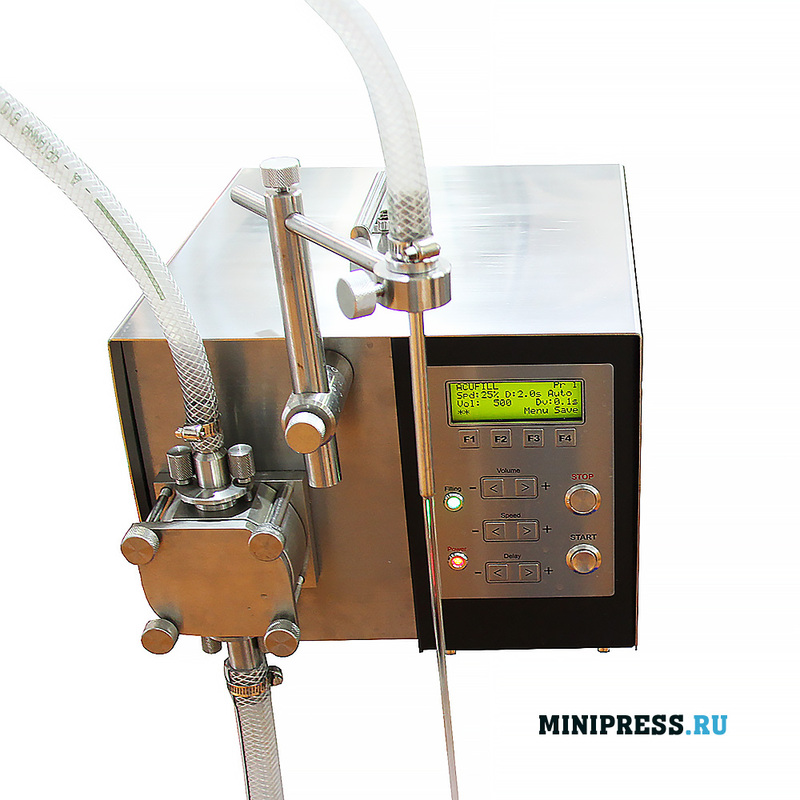 We provide detailed instructions for setting up this model of the machine for filling liquids. Before shipment, the machine is tested in production. Completeness and working capacity is guaranteed. We maintain a stock of parts and consumables in the warehouse. 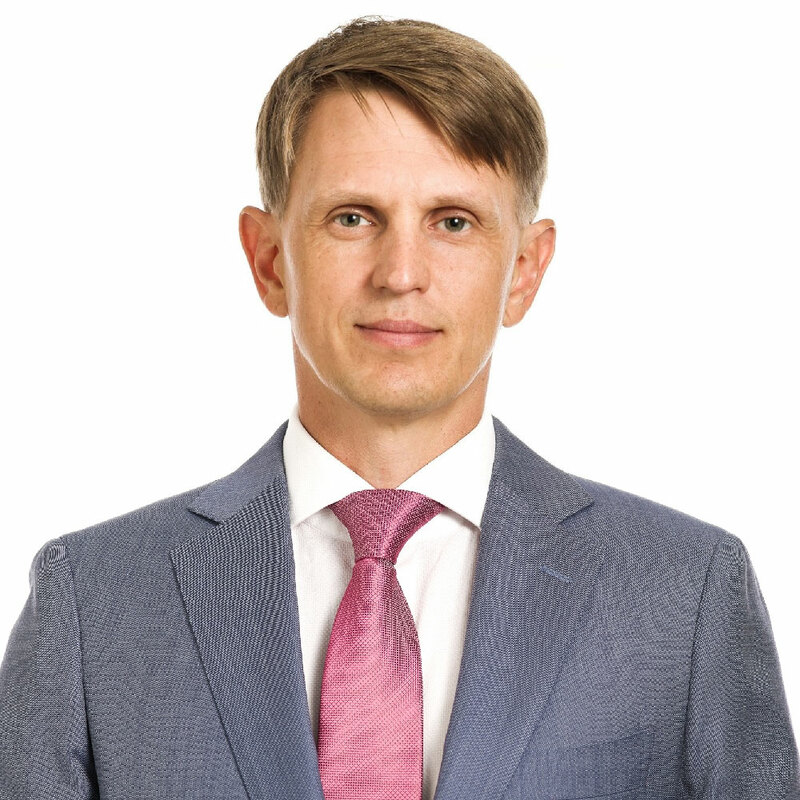 Price is indicated taking into account customs payments in Russia and delivery to the city of the client. Цена: $ 4,800 КАК СНИЗИТЬ ЦЕНУ? Productivity (100 ml): 1440 bottles per hour. Productivity (300 ml): 960 bottles per hour. Productivity (1000 ml): 600 bottles per hour. 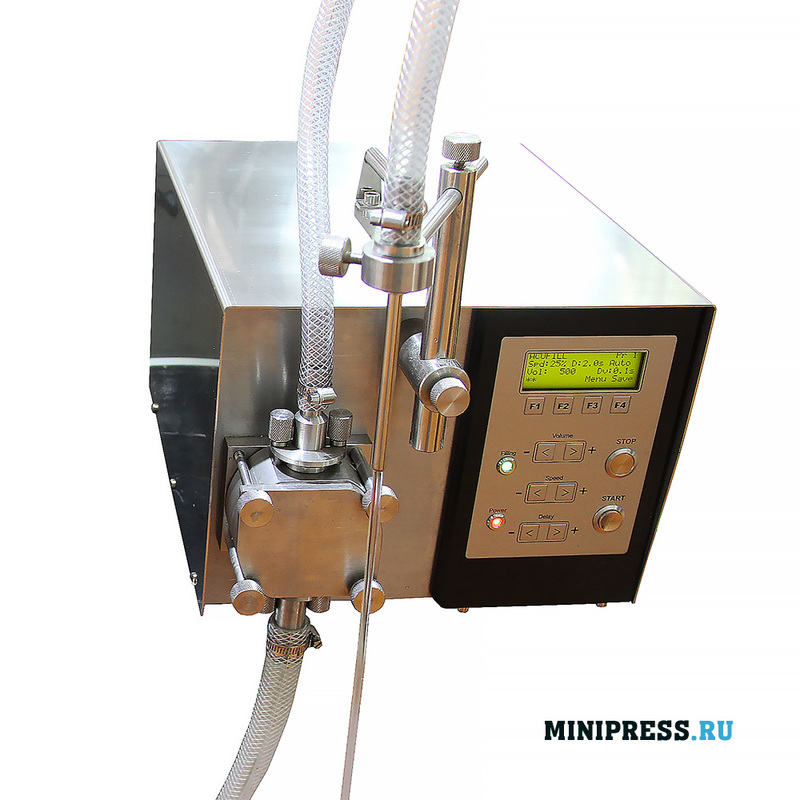 This desktop machine uses the concept of a gear pump as a measuring device to fill the desired dose of gels or liquids into ampoules or vials. The volume, pause time between the filling can be designed by the operator. Each filling can be with acceleration or delay. Control is provided by means of the combined keyboard and LCD display configuration. 20 different data can be stored in memory. The pump is easily dismantled for cleaning. Can be expanded for use on the conveyor in the filling line. 1) TRAINING OF TECHNOLOGIES OF FILLING LIQUIDS. We can train you on our equipment before buying. Testing of materials. We provide consultations on the organization of filling and dosing of liquid products, with a full range of additional equipment and consumables. 2) COMPLETE PHARMACEUTICAL AND COSMETIC MANUFACTURING. 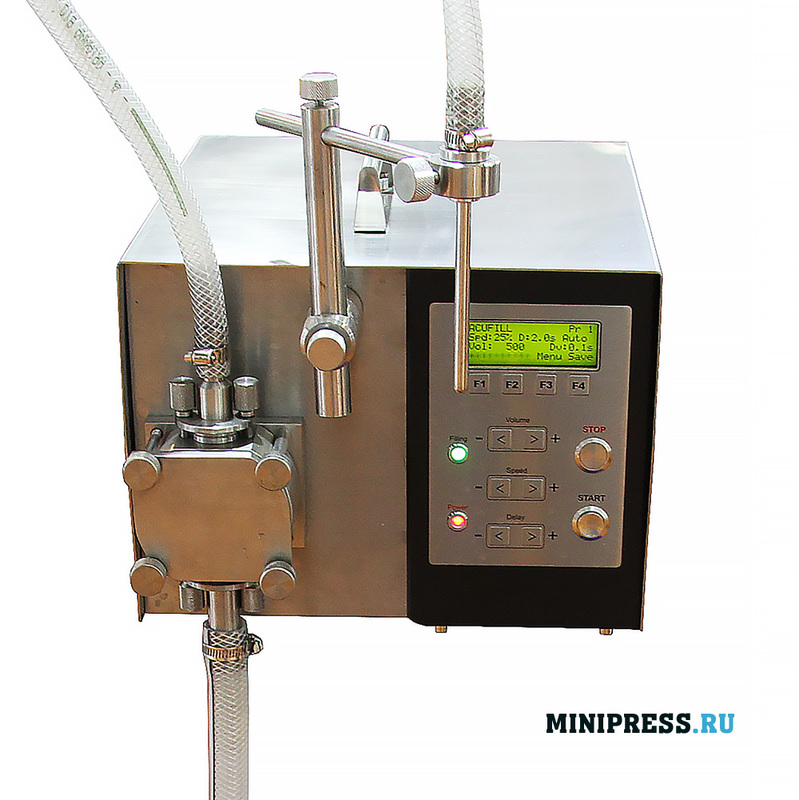 We also have automatic and desktop filling and dosing machines in Russia that we provide to our customers. You can always contact us with your ideas and requests. 3) DELIVERY OF EQUIPMENT FOR FILLING IN VARNISHES AND AMPULS. The products fully comply with the new GMP requirements. The production of equipment for bottling and dosing of liquids is accompanied by strict quality control, verification of all documentation, well organized after-sales service of equipment. The manufacturer can also offer models of automatic machines for filling gels and liquids, based on the goals and tasks of the customer. We will assist in the maintenance and repair of any equipment for bottling. Service center in Russia for the CIS countries.